Package of 2D pixel art game assets. Great for prototyping and mobile games. -Knight 4 different angles with walk, attack, death animations. -Slime monster animation 3 different colors. 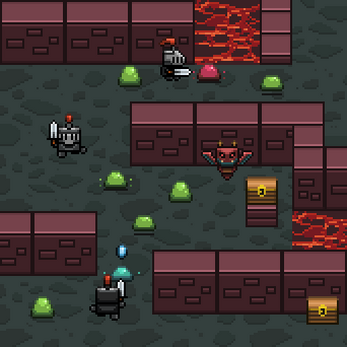 -Dungeon tile set with 3 different wall types. Ok. I was practicing game development skills(if I didn't have to relearn).